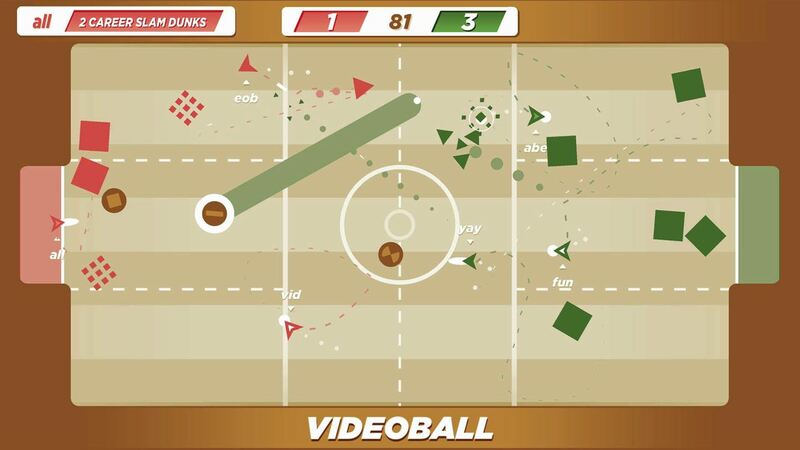 If traditional sportsball games have you down because they’re growing increasingly complicated and hard to play but you still want to score some sweet goals, Videoball might be just what the doctor ordered. Combining elements of soccer, basketball, football, and a little #IDARB, Videoball is the arcade sports game of your dreams. It is simple and easy to understand but also offers surprising depth if you put in the effort. Better yet, it has outstanding local multiplayer and a ton of options to let you customize the experience. The price is probably a little steep for what it is, but overall Videoball is worth a look. See our full Xbox One review for details. Videoball is a simple sports game where teams of triangles shoot smaller triangles at a ball to move it around to try to score goals. The game offers a wealth of options as far as teams go – anywhere from 1v1 to 3v3 and in between – as well as a wide variety of field layouts. The basic field is just a large open space with huge American football-style end zones, but other fields put obstacles in the way, change the size or position of the goals, and more. You also have options for how many balls will be in play at once as well as how many points shots from different distances are worth. You can play with different combinations of human players and A.I. and the A.I. are interesting in that there are a nice range of playstyles and personalities among the CPU opponents included here that you can usually tell based on their name. One piece of advice is to avoid Punchy. That triangle is a jerk. 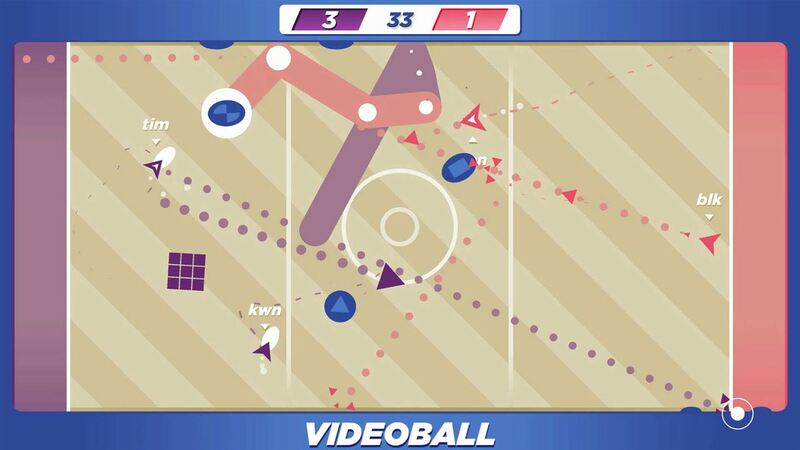 Videoball does offer online play, but finding a game is nigh impossible unless you organize something ahead of time so sticking with local multiplayer is the way to go. It’s more fun to play local multiplayer side by side with your friends anyway. While I already laid out the basics of the gameplay above, there is slightly more depth to it. You move around and shoot out a stream of triangles in any direction you want. These triangles push the balls around but also “tackle” other players (including teammates). If you hold the shoot button – which is any button on the controller, by the way – you build up a bigger and more powerful triangle. If you hold the shoot button long enough it will create a square that you leave on the field as a defensive obstacle. Learning how to use the various shot types, when to use defensive squares, and figuring out how to work as a team means Videoball has a surprising amount of depth. While it does have decent depth that doesn’t necessarily mean it’ll keep you hooked for long. Even with all of the different fields and rules you can set, the core game is still pretty simple and basic and shooting triangles at balls is only fun for so long, particularly against the A.I.. The normal price is $10 and I feel that is probably too much. I got it on sale for $5, which is much easier to swallow and where I’d recommend buying it. Presentation-wise, Videoball is delightfully simple and easy on the eyes with clean menus, a soundtrack reminiscent of 80’s employee training videos, upbeat and friendly announcers, and gameplay screens that are easy to immediately understand. All in all, Videoball is a fast and frantic and genuinely fun take on sports games that is easy to pick up and play for just about anyone. Local multiplayer is an absolute blast and the recommended way to experience it as the experience doesn’t really hold up playing exclusively against the A.I. in single-player modes. I don’t love the $10 price tag, but if you know you’ll play it a lot with friends it isn’t too bad. The $5 I paid feels more appropriate for it, though. 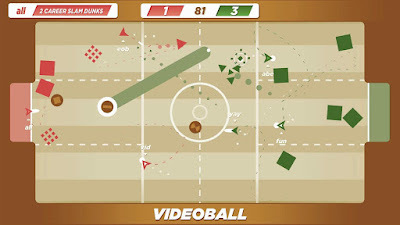 Videoball is definitely a ton of fun and well worth a look for anyone looking for local multiplayer.